MELBOURNE Ponte Vedra’s championship challenge found a heartbreaking finish in the penalty place. 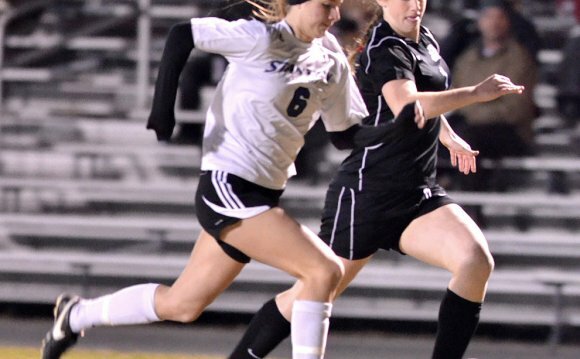 The Sharks fell 4-3 on the penalty kick shootout to Land O’Lakes following a 1-1 finish to regulation in Thursday’s Class 3A women soccer condition semifinals. Gators keeper Lauren Arrabito saved the determining shot from Ponte Vedra’s Julia Worman to finish a tense match in a saturated Eastern Florida Condition College. “She’s an excellent goalkeeper so we couldn’t get lots of high quality shots, ” Ponte Vedra coach Dork Silverberg stated. In the beginning, it made an appearance the Sharks (20-2-3) would march a stride nearer to their third condition title. Ponte Vedra struck 9 minutes in, when captain Maggie Glynn poked home a rebound following the Gators (24-1-) unsuccessful to obvious a large part kick. Charge survived only 12 minutes, as central midfielder Sydny Nasello tied the score from the well-targeted go by Tori Cannata. Cannata coupled with crafty newcomer Nasello to press the Sharks’ back line, forcing keeper Noelle Rolfsen right into a string of saves. Within the other half, forwards Megan Sharp and Glynn assisted the Sharks restore control with effective incurs this area.